Since 1984, the Florida Strawberry Festival grounds have been transformed in the relatively warm Florida winter from an agriculture center into a winter wonderland of displays, rides, nativity scenes, performers and food. PLANT CITY — For a month each year, through one man’s love for the Christmas and holidays, part of Central Florida literally becomes part of the season. For the past two years, the Florida Strawberry Festival grounds have been transformed from an agriculture center into a winter wonderland of displays, rides, nativity scenes, performers and food. For the 33rd year, from Nov. 24 to Dec. 24, Christmas Lane returns to Plant City. Inside and around the Charlie Grimes Family Agriculture Center, 2508 W. Oak Ave., Plant City, the event not only features holiday-related activities but also an expanded living nativity site located behind the agriculture building. It also includes a Community Night with free admission for teachers, first responders and law enforcement on Fridays. Saturdays will be Youth Sports night. The event is sponsored by the nonprofit Christmas Lane Inc. and marketed through Fryed Egg Productions, a Plant City broadcasting and media production company and consultation agency. Yvonne Fry, president of Fryed Egg Productions, said the Living Nativity Scene site has been expanded to two nights per week. The scenes will be performed by members of seven area church groups and will feature live animals. The Dec. 25 scene will be done in Spanish. Additionally, Christmas Lane rides have expanded from six to between 12 and 15 this year, said Fry, and the event’s coordinating nonprofit organization staff, Christmas Lane Inc., has requested a miniature train ride to assemble for children. “We’ll have the Kids’ Zone that’s really interactive with tree ornament making available, face painting and a place to write letters to Santa Claus,” said Fry, who is in her third year as Christmas Lane coordinator. Each night, Santa and Mrs. Claus will greet guests and photos with them will be made available through a professional photographer or using the visitor’s camera. Living holiday characters such as Rudolph the Red-Nosed Reindeer, Frosty the Snowman, and elves Holly, Jolly and Dolly will also roam around the event. Also on display will be a Christmas Castle, two 10-foot toy soldiers and a 14-foot reindeer. Since 2012, Jake Austin of Lakeland has been taking his daughter, Leah, to Christmas Lane. Now 7, she will again join her father for the yuletide excursion and Austin said the Plant City event takes Christmas to the next level. Christmas Lane began in 1984 at the home of Lane Wetherington, who did it for the Dover community. When he was a boy, his passion for Christmas led him to ask for Christmas lights to decorate the family home and over the last 33 years, it continued to grow before being moved to the Strawberry Festival Grounds in 2015. There are now displays with more than 1.5 million lights accompanying decorations using in excess of 168,000 watts of power. Christmas Lane Inc. volunteers work more than 1,800 hours to set up the winter display. 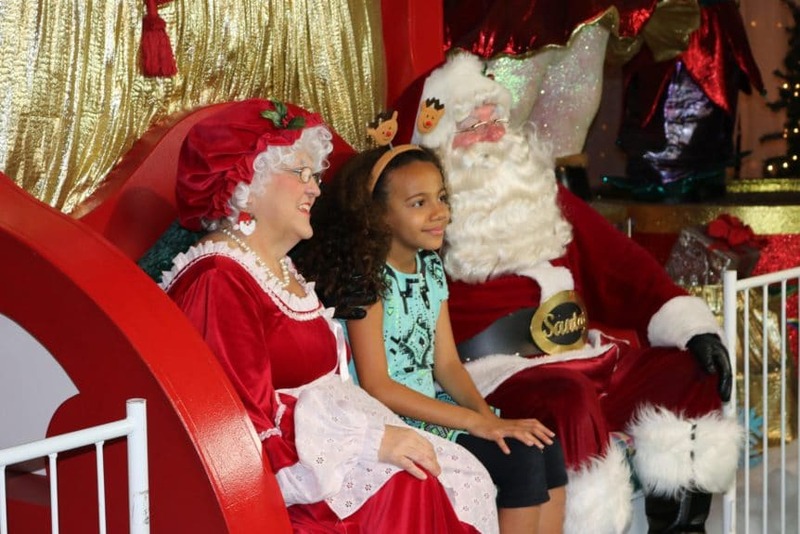 “Christmas Lane is not just a destination, it’s an experience you can feel how much heart the family of Christmas Lane has poured into this event and it gets better each year,” Plant City Mayor Rick Lott stated. This year, Christmas Lane volunteers are asking visitors to bring canned goods, which will be donated to the United Food Bank of Plant City.